Whatever you are selling, eCommerce WordPress themes will suit perfectly with your brand. WP themes will make sure that your products are always available to the customers with a single click. The internet has proven to be a very convenient place to shop. People have now started to buy almost everything with the click of their mouse. Because of this, websites are becoming more responsive to their customers. We have also published these collections of Premium WordPress Themes and Free WordPress Themes. 2M+ items from the worlds largest marketplace for WordPress Themes, Web Templates & Design Assets. All of it can be found here at Envato Market. Stowear is a responsive OpenCart theme with more than 600 Google web fonts and unlimited colors to choose from. It also contains a lot of custom modules and settings you can work with allowing you to put unlimited items and different product images. Branchy is based on WooCommerce plugin. It is a multi-purpose theme ideal for mobile, electronics, cosmetics, and other types of eStores. It uses HTML5 and CSS3 and is fully responsive adapting to any types of devices and platforms. It is compatible with different types of browsers as well as with WooCommerce 2.3 version. The features, customer support, documentation, flexibility, the powerful ability to customise, design/code quality are all A+ rating. If you are selling a small range, large range, or single range product, try this theme out. Granada is a fully responsive theme based on Bootstrap 3, and compatible with any types of devices. It is one of the themes with the highest quality of graphics, which displays well even in ultra-high Retina display. With 35 different PSDs, six different layouts, and unlimited color options, you can make your own unique website even without coding knowledge. Designed by Colibri Interactive, Organic is optimized for iPad and iPhone. It has WooCommerce Webshop Integration with features and options for easy customization. This is an ideal theme for eStores which sell coffee, farm products, cosmetics, food, and many more. It also contains an extensive them option panel so you can easily choose from an unlimited number of colors as well as change the background image and other elements. Flatastic has a modern and clean design coupled with powerful layouts, color settings, easy-to-use visual composer, and advanced WooCommerce platform. The theme is available in four different versions – Drupal, VirtueMart, Magento, and HTML/CSS3. The theme is Retina-ready with multiple and powerful plugins to make your online store more customer-friendly. Other features include child theme support, slider revolution and layer slider, Google Rich Snippets plugin, and unlimited footers together with a variety of header styles and layouts. 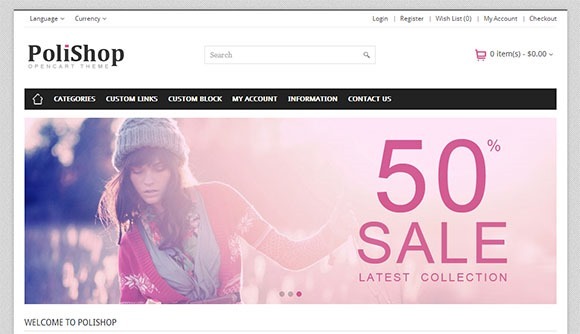 Pts Mixstore is a multi-purpose Prestashop theme with five pre-built sites. Powered by Prestashop Page Builder and a new web-only technology, the theme is easy to install and maintain. It has an admin panel filled with features, which include a mega menu, live theme customization, custom font, layout configuration. It also contains a powerful and well-structured code base for better programming, customization, and performance. These codes are also built with an anti-hacking system to protect your online store as well as the security of your customers. Developed by Minti, Unicon is marketed as the first design-driven multi-purpose WordPress theme filled with powerful features and intuitive user interface. Unicon is not only ideal for building an online store, but also for your portfolio, blog, or business website. Its professional and amazing design is coupled with powerful features to help you design your website and keep it running smoothly. Classico is an elegant and modern theme with a wide collection of variants and layouts that suit your preferences. It allows you to combine themes using different layouts, structure, headers, and sidebars. Other features this theme has included an improved admin module which allows you to edit your portfolio and other pages easily. There is also a lot of options to your product page for customization and modification, such as the sidebar position, layout, wishlist option, and hover effects. Zoneshop adapts easily to any mobile device allowing customers and visitors to easily browse your eCommerce store on their tablets or phones. Based on Bootstrap 3.0 and built with HTML5 and CSS3, it has an advanced grid system to help you easily install this theme and build your own website. Moreover, its customized shortcodes enable you to creative unlimited layout to various pages of your website. The theme developers also provide demo data so you can easily create a website similar to the demo page. So even if you have no coding experience, you’ll be able to set up your own business website just by following the instructions. The Lexus theme is built on the Pavo Framework 2.0 and Bootstrap 3.0, making it a 100% fully responsive theme which works on different resolutions and devices. The Live Theme Editor and auto-loading CSS files allow you to build unlimited theme profiles easily, even without code knowledge. It’s creative and modern design along with various skin-styles, banners, and slideshow makes it an ideal theme for your clothes, cosmetics, or fashion store. As the name suggests, Pav Cosmetics Opencart theme is specially designed for cosmetics, beauty, and fashion stores. Its amazing slideshow and banners showcase your products stylishly and beautifully. Built on Pavo Framework 2 and Bootstrap 3, it is fully responsive and compatible with any types of resolution on different mobile devices as well as medium or large desktop screens. Aside from the Live Theme Editor, which allows you to customize easily, it is also filled with features and options, such as the Power Mega Menu Module and jQuery Effect, to help you create a stunning website. Regolith is a unique theme because of its horizontal orientation. Built with the latest technologies, you have a wide range of options to choose from to make the products in your website stand out as well as providing you more screen space to utilize. Regolith is easy to customize and has beautiful parallax effects to make your posts and products look even better. Products are automatically split into clean and even newspaper-style columns, which automatically reshapes itself to fit your screen. The Humbleshop theme is a play on words reflecting what it offers – clean, minimal, and simple. However, it has all the necessary features you need to create a modern and unique online boutique or store. Living up to its name, its Theme Settings are easy to configure allowing you to customize within five minutes. If you are after a simple and clean store which effectively showcases your product, Humbleshop is definitely for you. Responsive design, built based on mobile-first theory. Restaurant theme, as the name suggest, is a perfect theme for any restaurant or food business with its clean and professional look as well as its great color combinations. Set in a white background and with Cloud Zoom to enlarge the products, your food presentations will surely look delectable using this theme. It is also optimized for fast loading to give your customers and visitors a truly enjoyable user experience. Own a cafe or coffee shop? The Coffee theme is the perfect theme to use when you want to showcase your products and business online. It has all the right color combinations which seem to capture the strong aroma of various coffee blends as well as the mouth-watering cakes that go along with your java. Shine is a fully responsive theme filled with features, some of which allows you to change the color of almost every element. A PrestaShop theme, it is compatible with any PrestaShop store and displays flawlessly across all types of devices and browsers. It has a simple way to configure how your product detail page looks and what they have on them. Canvas theme is specially designed for furniture and interior design portfolio and stores. 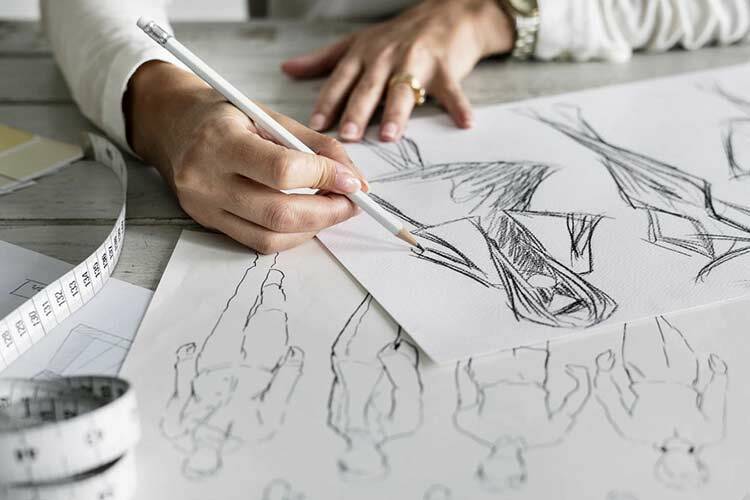 Canvas developers understand that interior designers need a website filled with features that enhance and showcases the works of interior designers to impress clients and visitors. The theme has a clean and simple design as well as helpful features, such as full catalog, detailed portfolio item page, and eCommerce support. It is important to note that this theme relies on ecommerce plugins to work. You Can Design Websites from Scratch or Use Pre-Built Websites – Is One Way Better than the Other?